This door bell unit is made with very durable material. The camera works well in the day time as well as night time. The monitor has tons of melody you select for your door bell. The monitor won’t ring if you have it turned on, and it will only refresh the screens when you press the button on the camera. 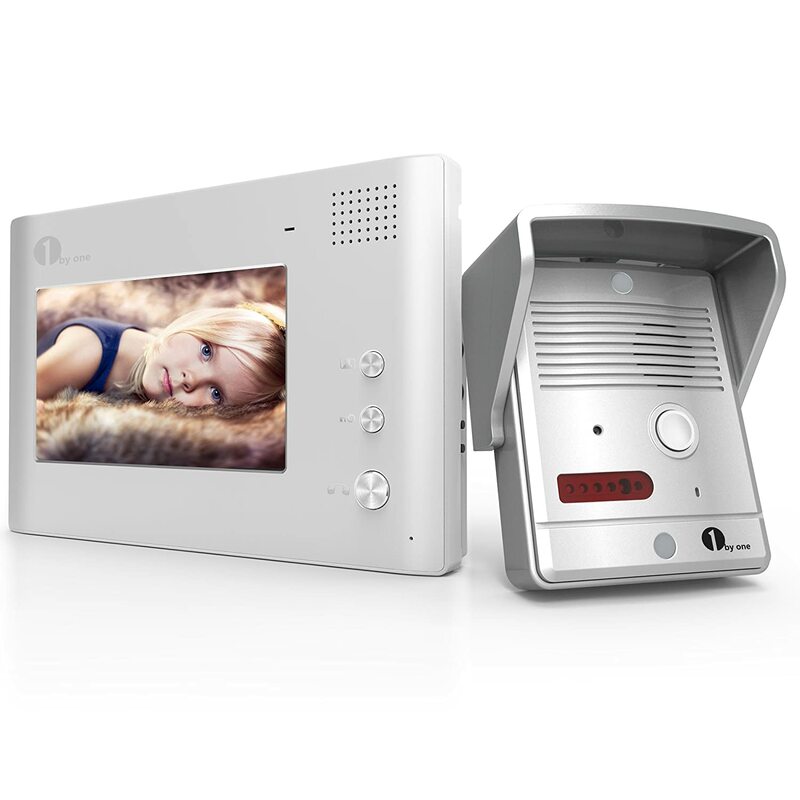 The monitor can also unlock a door or gate. Very Convenient! I highly recommend this door bell because it provides security, fun, and easy assess to the door or gate. If necessary, you can also install one additional monitor, for example, one in the living by the entrance door and one in the bedroom or wherever location that is convenient for you. I believe every household need to get one of this, because you don’t have to open the door before you actually see who is ringing the bell, instead you can determine whether or not open the door by looking at the monitor and talking to the visitor. That way, the bad guy cannot easily break into the house while the door is opened.